Earlier today, Kristen Wiig attended the first event of the upcoming Despicable Me 3 press tour! 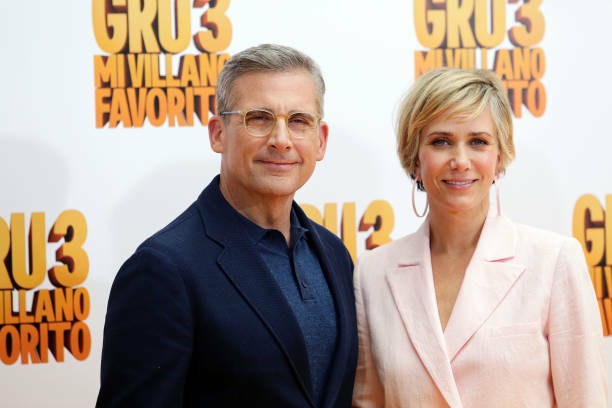 The first stop: Madrid, Spain, and she was joined by co-star Steve Carell as well as the Spanish voices from the movie (titled Mi Villano Favorito) for the photocall. Kristen looked supercool in a light pink box-y suit – it’s so nice to get some new pictures of her, wouldn’t you agree? More to come, so keep checking back for coming coverage from the press tour.